The US State Department has announced it is ordering the closure of the Washington mission of the Palestine Liberation Organization (PLO), a move that has drawn strong reaction from Palestinians. 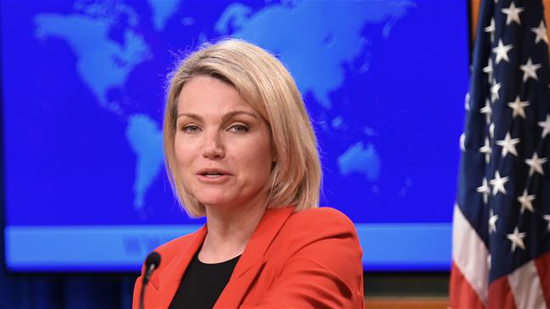 "We have permitted the PLO office to conduct operations that support the objective of achieving a lasting, comprehensive peace between Israelis and the Palestinians since the expiration of a previous waiver in November 2017," State Department spokeswoman Heather Nauert said on Monday. "However, the PLO has not taken steps to advance the start of direct and meaningful negotiations with Israel,” she stated. The statement accused PLO leaders of failing to engage with American efforts to establish peace between Palestinians and Israelis and attempting to prompt an investigation of Israel by the International Criminal Court (ICC). Meanwhile in a speech on Monday, White House National Security Adviser John Bolton announced punitive measures against any anti-Israeli action by the ICC. Bolton threatened imposing harsh sanctions against the ICC in case it decides to move ahead with requests to investigate the US and Israel. "The United States will always stand with our friend and ally, Israel," Bolton told members of the conservative Federalist Society gathered at a hotel in Washington, DC. "We will not allow the ICC, or any other organization, to constrain Israel’s right to self-defense." "We reiterate that the rights of the Palestinian people are not for sale, that we will not succumb to US threats and bullying," Palestinian diplomat Saeb Erekat said in a statement to news organizations in advance of Bolton’s speech. "Accordingly, we continue to call upon the International Criminal Court to open its immediate investigation into Israeli crimes,” he stated. The PLO office in Washington has long been a source of tension. In November last year, the Trump administration warned that it might close the office in reaction to a call by Palestinian Authority President Mahmoud Abbas for probing and prosecuting Israeli officials at the ICC and other international organizations. Erekat responded back then that such a move would undermine prospects of resolving the Israeli-Palestinian conflict. The PLO warned to cut all ties with the US in case its mission was shuttered. The organization opened the office in 1994 and went on to join the ICC after receiving observer state status at the UN in 2012. Earlier this year, Palestine asked the ICC to probe human rights violations linked to the Israeli regime’s illegal settlement activities on occupied Palestinian territories.